This collection of forty-seven stories written between 1919 and 1963--the most comprehensive available--showcases Langston Hughes's literary blossoming and the development of his personal and artistic concerns. Many of the stories assembled here have long been out of print, and others never before collected. 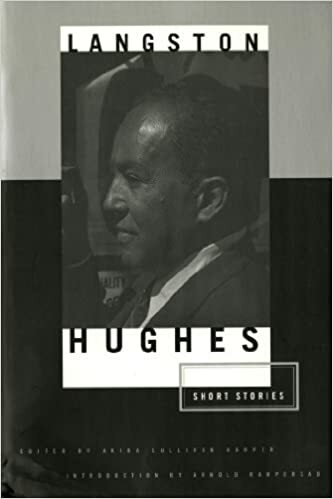 These poignant, witty, angry, and deeply poetic stories demonstrate Hughes's uncanny gift for elucidating the most vexing questions of American race relations and human nature in general. somebody throws a bottle and hell breaks loose. And I comes on out … Paddy is carrying the Little Virgin back to the ship now and the kid’s cryin’ like a baby and sayin’ over and over, ‘No gentleman would hit a woman. No gentleman would hit a woman.’ He’s drunk. But Jesus! All that fuss over a African gal! And Mike and the Virgin being such good friends, too … Licker’ll cause anything—the rotten slop … Let’s go down the road and get another drink.” And the carpenter took me jovially by the arm.